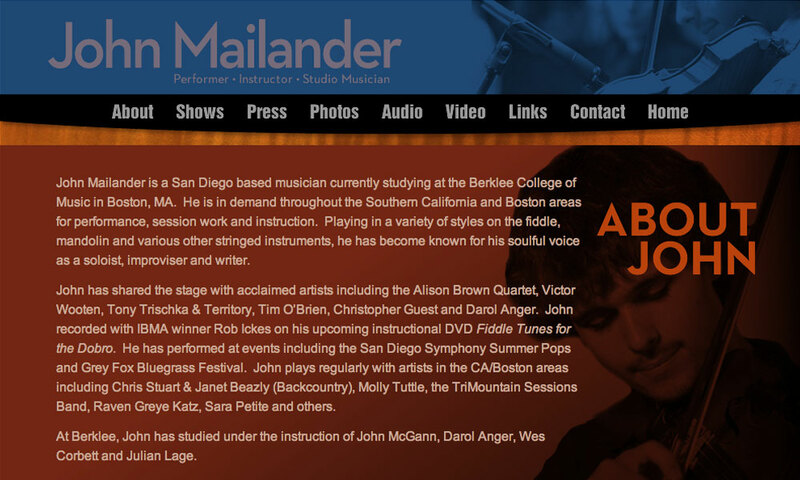 John Mailander is a San Diego based musician and graduate of the Berklee College of Music in Boston, MA. 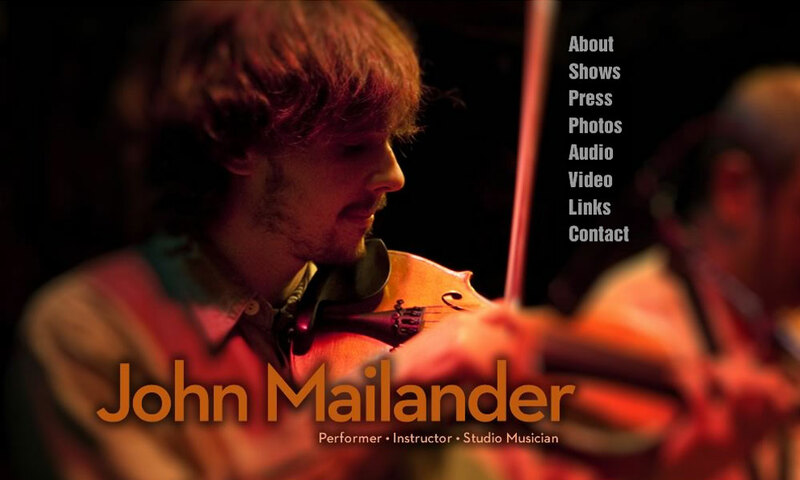 He is in demand throughout the Southern California and Boston areas for live performance, session work and instruction. 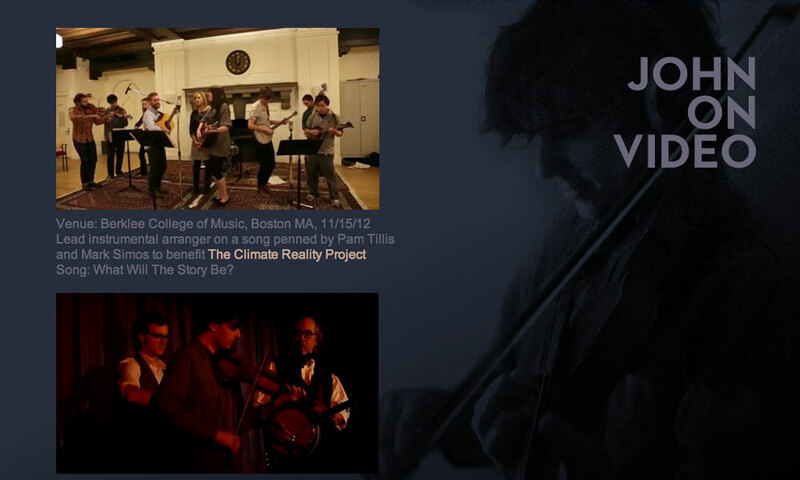 Playing in a variety of styles on the fiddle, mandolin and various other stringed instruments, he has become known for his soulful voice as a soloist, improviser and writer. 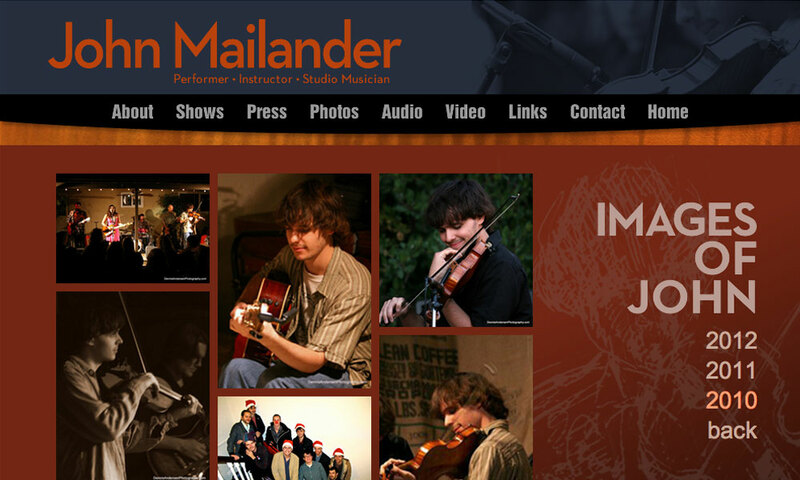 John’s website features his music, news and tour schedule in an easy-to-use interface. We built custom admin with CMS functionality for easily listing and maintaining his busy appearance schedule, and included a robust image gallery for his fan base. Through his discography and performance videos, users are treated to his continuing evolution as an artist.